Premier Li struck a confident tone in the country’s financial stability, ruling out the possibility of systemic risks. China will not devalue yuan to boost its export, Premier Li Keqiang said on March 15 after the close of the annual legislative session. China’s economy is unlikely to continue to grow at a sustainable pace without innovation playing a big part, according to a scholar at one of Britain’s top technology and research institutes. 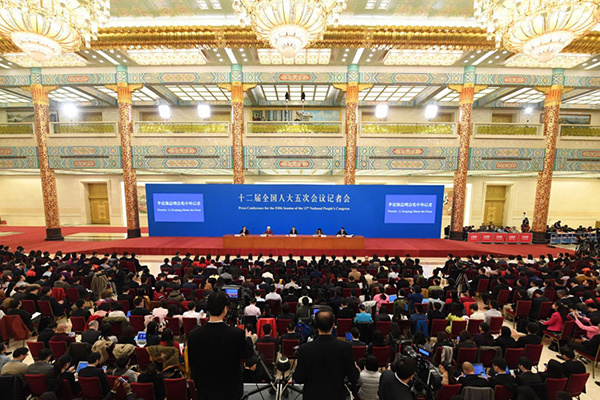 Premier Li’s news conference has conveyed the government’s belief that the quality of Made-in-China products has been enhanced to a key stage. As this year’s two sessions drew to a close, a number of policies and measures for the benefit of the people were laid out. Premier Li’s news conference is a window into China’s domestic policies and positions on international issues.